Emerging artist Jillian Mayer creates artwork that is highly in tune with today's digital age, she is the talented artist behind the cover art for a special edition Ocean Drive ​magazine 'Art of the City' issue, out August 1-30​, 2015. 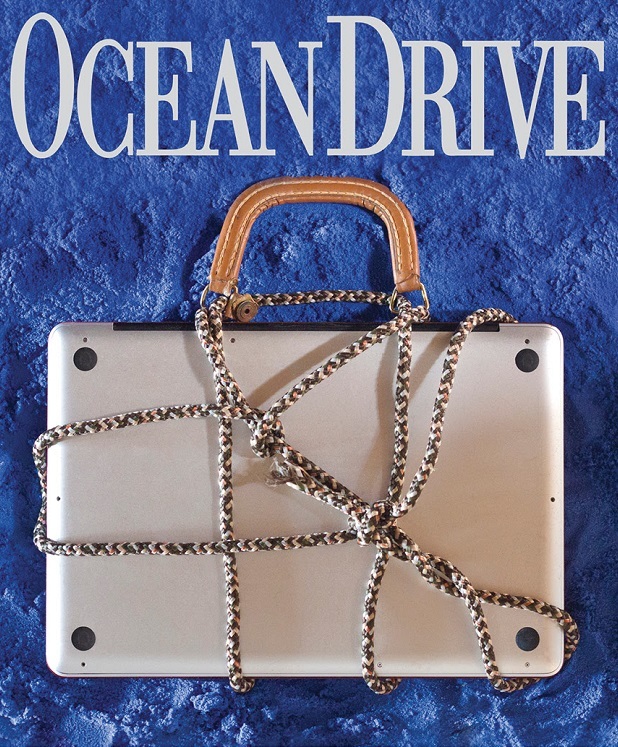 With a commitment to promoting emerging art across the U.S., Niche Media, Ocean Drive's publishing parent - curated all 11 of its city-specific, luxury magazine covers this summer to feature artful covers as an "Art of the City" initiative aimed at featuring today's top rising artists. 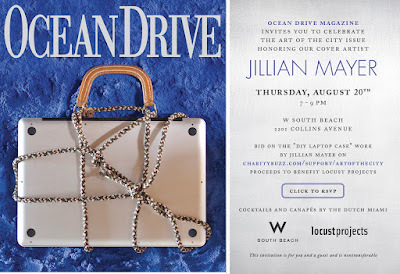 Join us next Thursday, August 20th from 7-9pm at the W South Beach to honor artist Jillian Mayer, who created the cover art for a special edition Ocean Drive Magazine 'Art of the City' First Issue. Click here to RSVP. Bid on the "DIY Laptop Case" work by Jillian Mayer on charitybuzz.com/support/artofthecity - Enjoy Cocktails and canapés by The Dutch Miami. Proceeds to benefit Locust Projects - the Miami Design District exhibition space that launched Mayer's career. Natália Gromicho was born in Lisbon, Portugal. 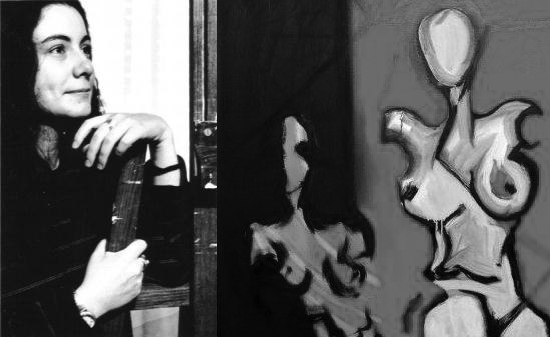 She graduated in Belas Artes from the Faculdade de Belas Artes de Lisboa, specializing in painting. Miami Art Scene is highlighting this wonderful artist as she celebrates 20 years of a successful art career, spanning more than 70 solo and group exhibits. Studying Arts and Crafts, including ceramics, the Portuguese painter, also graduated from the private ArCo School of Art in Lisbon, where she undertook Intensive Painting. Natalia also specialized in sculpture with the collaboration of Cuban artist, Hans Varela in the undertaking of several higher level workshops. Gromicho has showcased artworks in international exhibitions such as: Italy's International Human Rights Exhibition; Brazil's South American Arts & Fashion Exhibition Casa Cor; Miami's World Tour Exhibitions of Contemporary Artists; and she was the first Portuguese artist in Adelaide, Australia for the Adelaide Fringe Festival. 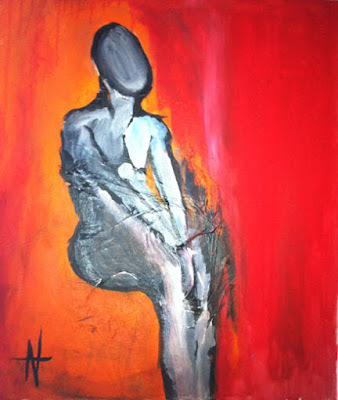 She was selected for New York's prestigious Power of Perception II where her art represented Portugal. 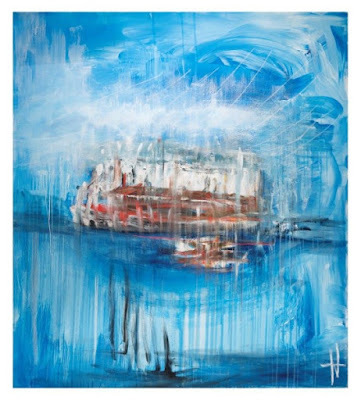 She was invited to exhibit in Moscow, Russia by the Portuguese Embassy, and in France, when the Bordeaux invited her to present her work for commemoration of Portugal Day at the embassy. The artist has garnered a long list of worldwide collectors in countries including Portugal, Brazil, Spain, the USA, UK, France, Italy, Holland, Australia and more. Gromicho is the winner of several contests, one was winning “Best Rolling Stone Alternative Logo” for a major Portuguese radio commercial in 1999, where she won a trip to London and met the Rolling Stones in Bridges to Babylon Tour in Wembley. 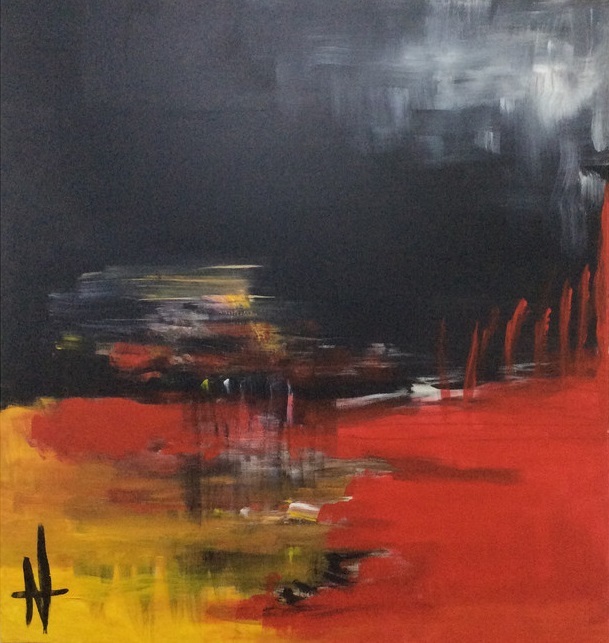 Switzerland-based artist Christine Senger creates powerful abstract art that intuitively combines a vibrant palette with a sense of movement, evoking amazing emotion in the viewer. 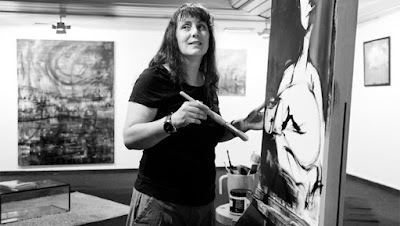 The artist exhibits her work with international art fairs and galleries year round, her upcoming exhibition at the Amsterdam International Art Fair is taking place August 28-29, 2015. “For many years, creativity has been an important part of my life. I always find it very rewarding to work with colors and give free rein to my imagination. Watching the creation of a picture and expressing moods and emotions in my painting is a wonderful experience. 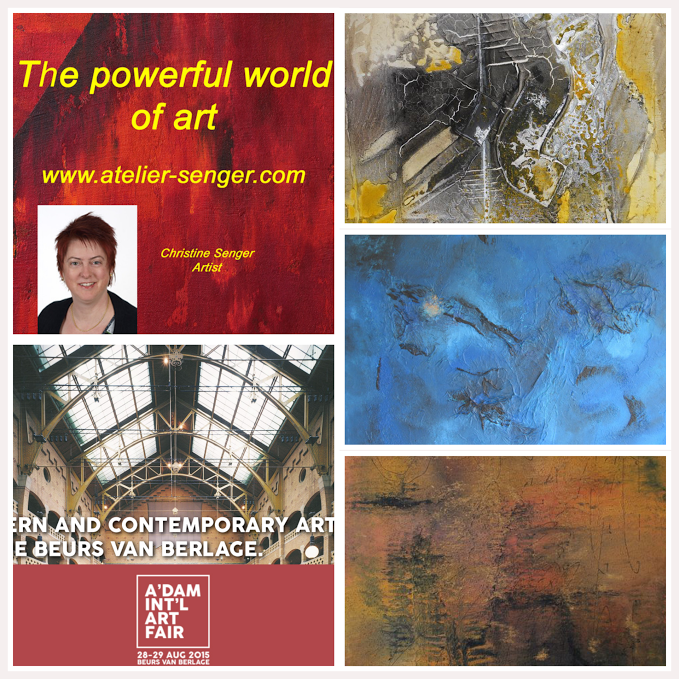 To inspire people with art fills me with great gratitude,” explained Senger. The global artist was recently with us in Miami this past June at Nina Torres Fine Art for The Miami Art Expo. The one-week global art exhibition was a huge success for Senger, who is ready for her next showcase at the Amsterdam International Art Fair. This anticipated Summer fair is taking place August 28-29, 2015 at the Beurs van Berlage on the Damrak, in the center of Amsterdam. The venue was designed and constructed between 1896 and 1903 as a commodity exchange by architect Hendrik Petrus Berlage. A spectacular location for this phenomenal art fair situated in the heart of the city. 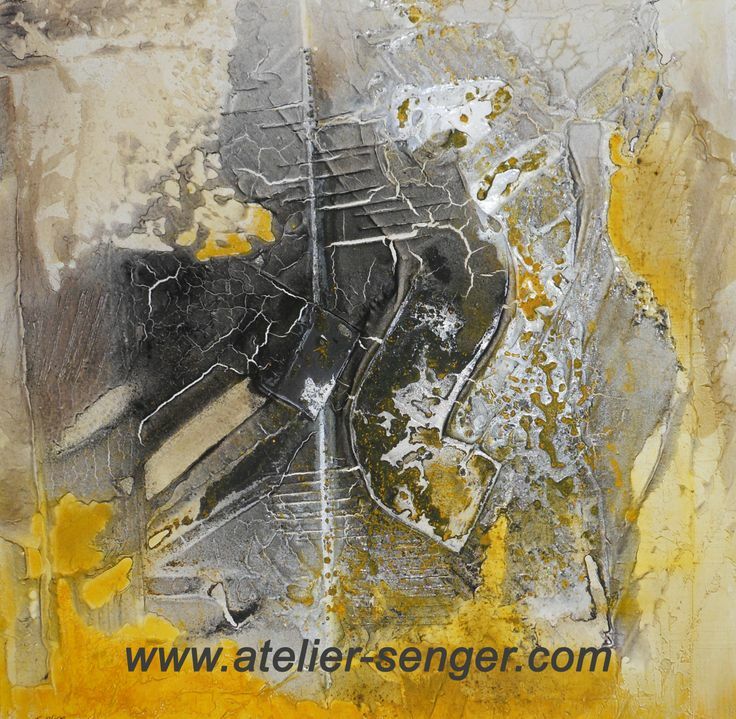 Senger is currently represented by Colorida Art Gallery in Lisboa – located at Rua Costa do Castelo 63, 1100-335 in Lisbon, Portugal. The gallery has been “living and breathing art” for over 7 years. They are known for their incredible exhibitions of contemporary art, representing and showcasing a fine assortment of international artists and artwork. 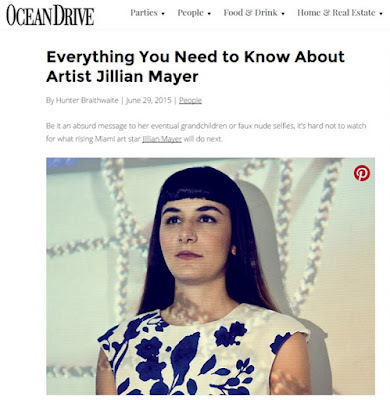 The artist is known for her active role within the international art community, assisting many global organizations related to the visual arts and philanthropy. 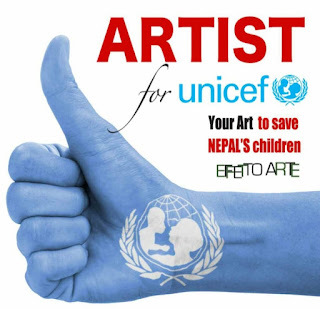 Senger’s most recent project was her donation to UNICEF and her commitment to utilizing the power of art to help make positive change in the world. The artist’s studio and showroom known as Atelier Senger donated an art piece, Deep Feelings, towards helping to generate the worldwide funds needed to save Nepal’s Children. Christine Senger is a unique artist who has the ability to whisk the viewer into a world of color and pure emotion. The artist’s enthusiasm and creativity are not only evident through her work, but also through her Podcast channel PodOmatic – where she enjoys the exchange of art information and creative sharing. 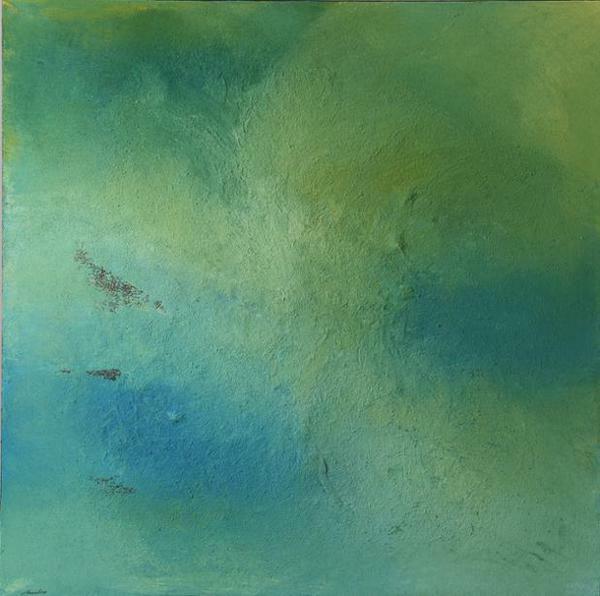 “Working with colors has been my fascination for many years. To be engaged with creativity and to dive into it, what a great addition, ” says Senger of her passion and life’s inspiration. Next on the horizon for this global visual art star is Palermo, Italy. 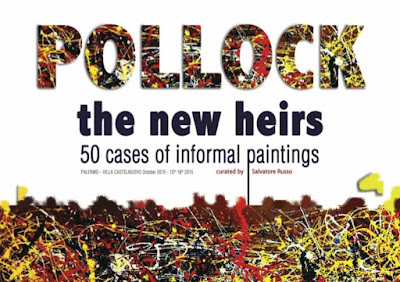 Senger was one of the 50 international artists chosen and invited to exhibit at the prestigious Pollock, The New Heirs – 50 Cases of Informal Paintings. 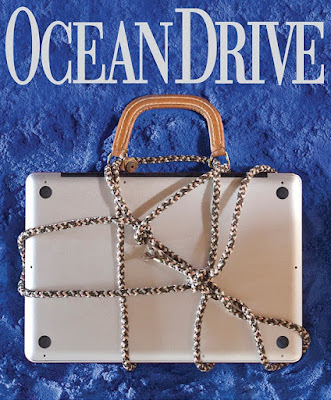 This acclaimed exhibition is taking place at the Villa Castelnuovo in Palermo from October 15-18, 2015. 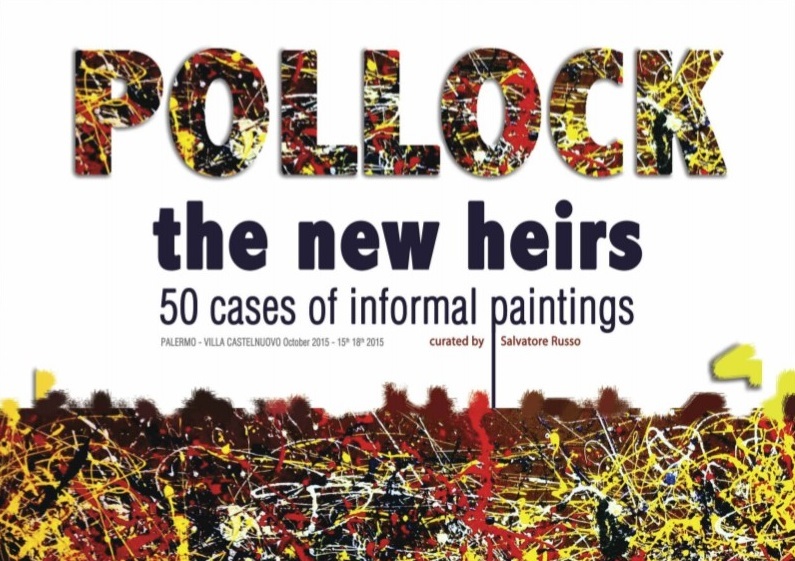 Hailed with major international significance, curated by the famous Salvatore Russo who invited 50 artists from around the world to find the 50 painters who can be Pollock’s heirs.